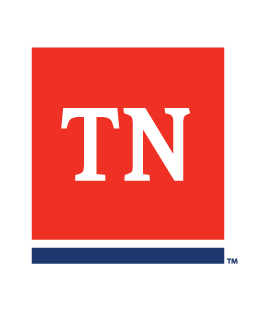 Tennessee executive branch agency Web sites are subject to the same accessible Web standards as federal agencies. Section 508 of the Federal Register establishes requirements for federal electronic and information technology, and the federal Access Board has issued the standards to meet those requirements. We are committed to making TN.gov accessible to all users and we have included several features designed to improve accessibility for all users. We welcome comments on how to improve the site's accessibility for users with disabilities. Hard copy documents are available for those unable to access or view the downloadable files on this Web site. Simply contact us by mail, phone, fax, or e-mail to make your request. IMPORTANT: Only messages regarding technical accessibility will be answered at this e-mail address. All other questions should be sent to the appropriate state agency. This site uses the highest standards of security in the industry. We use secure server software over a Secure Socket Layer (SSL) 128-bit encryption line to protect transmitted information. We encrypt all personal and credit card information so that this data cannot be read as it travels to and from our system. Once it is received, it is stored in a location not accessible via the Internet. Any trademarks that appear on this site are the property of their respective owners who may or may not be affiliated with, connected to, or sponsored by TN.gov. Many jurisdictions require or recommend that website operators inform users as to the nature of cookies they utilize and, in certain circumstances, obtain the consent of their users to the placement of certain cookies. If you are a customer of Zendesk, it is your responsibility to inform the individuals with whom you interact using the Service as to the types of cookies utilized in the Service and, as necessary, to obtain their consent. If you require more specific information as to the nature of the cookies utilized in the Service for purposes of fulfilling these obligations, please contact us by email at privacy@zendesk.com. The Service (including the Zendesk Websites) offers publicly-accessible blogs or community forums. You should be aware that any information you provide in these areas may be read, collected, and used by others who access them. To request removal of your personal information from our blog or community forum, contact us at privacy@zendesk.com. In some cases, we may not be able to remove your personal information, in which case we will let you know if we are unable to do so and why. We frequently enter agreements with our EU customers to provide them access to our Service, which includes the processing of information relating their customers. In providing our Service, we do not own, control or direct the use of the information stored or processed on our platform at the direction of our customers, and in fact we are largely unaware of what information is being stored on our platform and only access such information as authorized by our customers or as required by law. Only you or your customers are entitled to access, retrieve and direct the use of such information. As such, we are only the “data processors” and not the “data controllers” of the information on our platform for purposes of the EU Directive on Data Protection (Directive 95/46/EC) and the Swiss Federal Act on Data Protection. Our EU or Swiss customers, who control their customer data and send it to Zendesk for processing, are the “controllers” of that data and are responsible for compliance with the Directive. In particular, Zendesk’s customers are responsible for complying with the Directive and relevant data protection legislation in the relevant EU member state before sending personal information to Zendesk for processing. We work with our customers to help them provide notice to their customers concerning the purpose for which personal information is collected. We process and store information on behalf of our customers. If you are an individual interacting with a customer of the Service and would no longer like to be contacted by that customer, please contact that customer directly. If you are a Zendesk customer and would like to opt-out of getting communications from Zendesk please contact us at privacy@zendesk.com or follow the unsubscribe instructions included in each marketing email. Requests to opt-out of transfers to our third-party vendors will also be considered, but limitations on data sharing may make it difficult or impossible to provide the Service in this manner. Customers may update or change the personal information they have provided Zendesk by logging into the Service and providing such additional information where applicable. If you are our customer and would like to gain access to, or request deletion of information we have collected as “data controllers,” please contact us at privacy@zendesk.com. We will respond to such queries within 30 business days. Eligibility requirements - Am I eligible for unemployment?